Ireland's largest county, Cork covers and area from the extreme southwest of Ireland (Mizen Head is Ireland's most southerly point) east through Cork City to the historic town of Youghal and north to the town of Charleville near Limerick. The scenery in west Cork, in particular, is breathtaking and the two peninsulas south of the Ring of Kerry peninsula, the Beara peninsula and the Sheeps Head peninsula are outstandingly beautiful and peaceful. Strangely, golf courses are scarce in this part of Ireland although the course outside Bantry has been redesigned in recent years by Christy O'Connor Jnr. The Old Head of Kinsale - 15 miles south of Cork City - is undoubtedly the most famous golf course in Cork. Kinsale itself is a wonderful harbour town and well worth spending a night or two when playing Old Head. 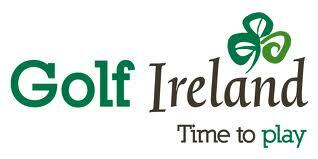 Just outside Cork City, both Cork Golf Club (Little Island) and Fota Island are classic championship courses. Elsewhere in the county there are many local clubs that could be worth a visit - these include Mallow, Fermoy and Charleville. See also our golf guide to the southwest or visit the West Cork tourism website.